Signed, titled, dated and numbered 37/60 ep in pencil. 8 3/4 x 11 3/8 in. ; 22.23 x 28.89 cm. A bold, black impression, without the streak characteristic of impressions printed later in the edition. 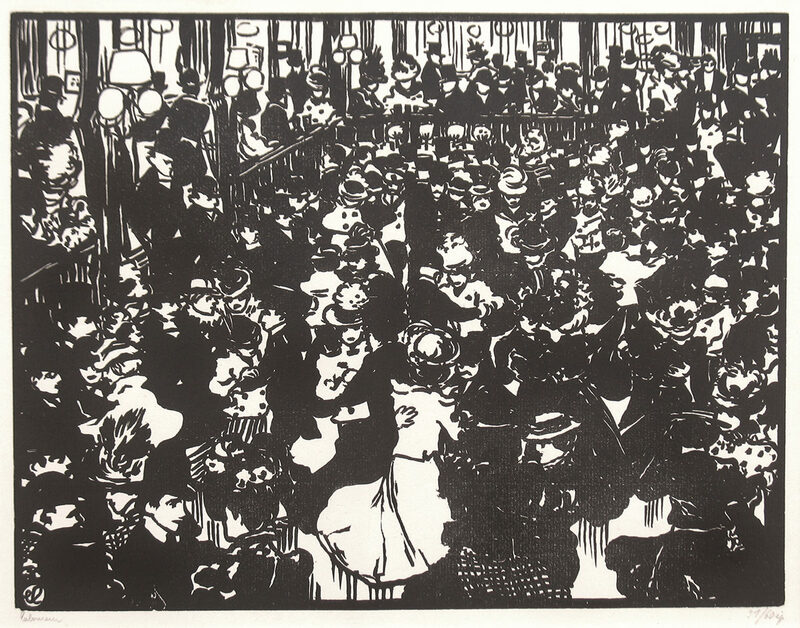 This depiction of University students at the Bullier Ballroom is one of Laboureur’s most outstanding prints.